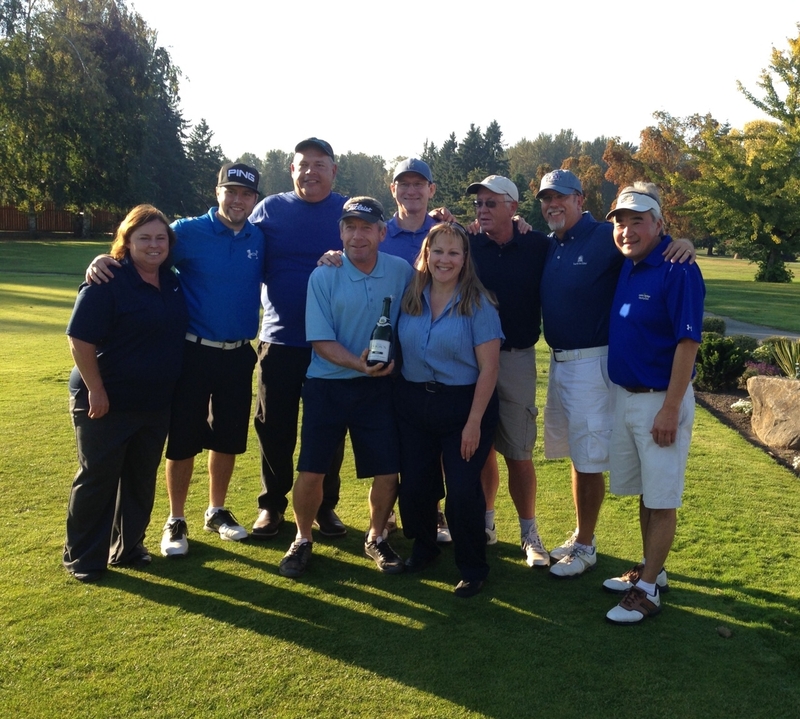 The 2012 Linden Ryder Cup came down to the final hole of the final match this year! Team Fatica, sporting blue, edged the red-clad Team Leon by a final score of 12.5 to 11.5 to win the cup and bragging rights for the next year! Well done! Team Fatica celebrates the win!